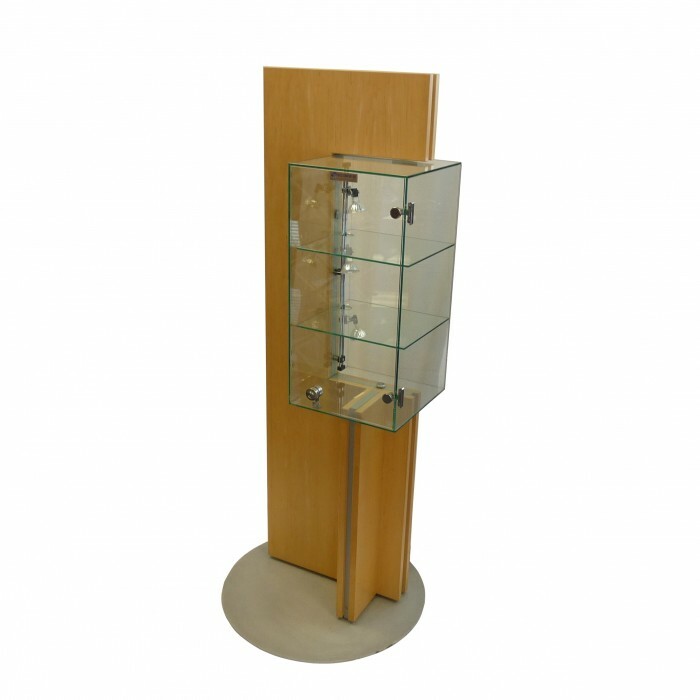 Showcase Finish : Display case is glass. Frame is tawa veneer. Features: Includes 2 glass shelves & 3 halogen lights. Power cable is 1.6m long.